Construction has commenced at the riverfront Vantage RiversEdge Apartments located in Rivervale. It’s exciting times for Edge Visionary Living and Hillam Architects, with Vantage representing a rare combination of timeless architecture and stunning amenities set on the banks of the majestic Swan River. Vantage RiversEdge Apartments are set to become the finest residential apartments on the Burswood Peninsula. With sweeping views toward the CBD and Darling Ranges, these apartments are located just moments away from the Crown Perth complex and the new Perth Stadium. Residents can enjoy events with no need to battle traffic after or squeeze onto public transport. Edge’s Managing Director, Gavin Hawkins noted that the recent strong sales at Vantage apartments has coincided with the commencement of construction late last year. “With buyers now having the assurance that the project will complete in 2019, and the extra interest created with the opening of the Perth Optus Stadium, buyers are keen to lock in their future riverside lifestyle” said Mr Hawkins. 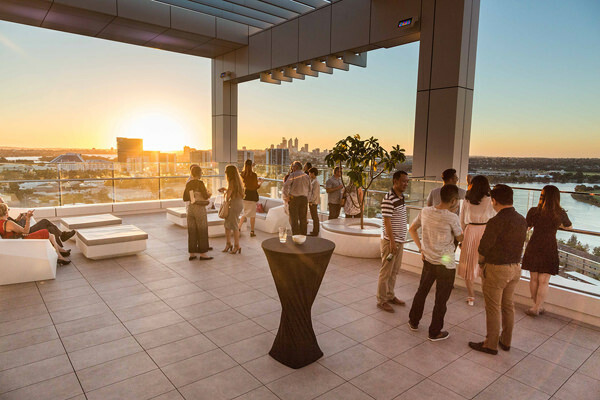 The amenities at Vantage are second to none and include a rooftop cinema and infinity edge pool for those balmy summer nights in Perth, all with a view of the Perth skyline. 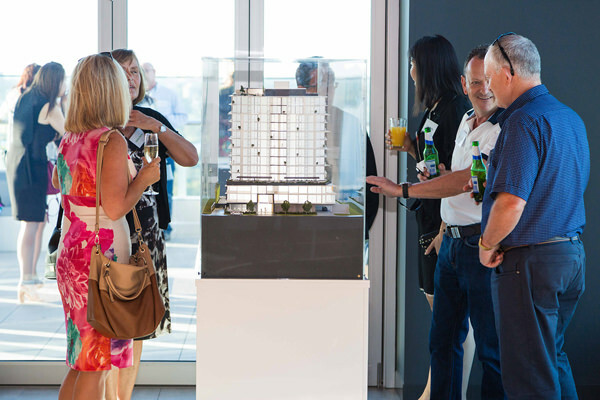 Excited buyers attended a construction celebration event at Aloft Perth on Thursday 8th February. City of Belmont’s Mayor Phil Marks showed his support for the project and the vibrancy it will bring to the Rivervale precinct. 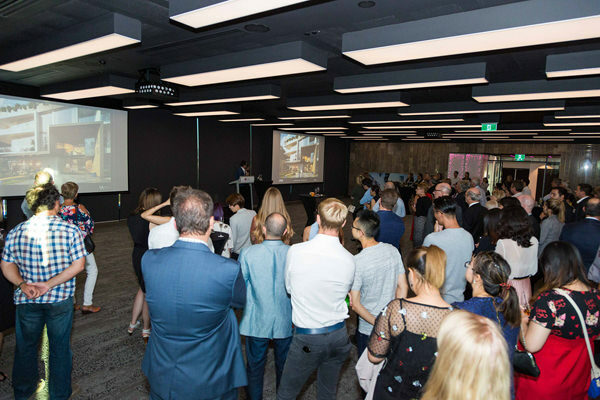 Edge Visionary Living are leading the way in the Perth apartment space by offering buyers cutting edge designs that are driven by functionality and efficient space utilisation. The Perth apartment living experience is being redefined by the team at Edge. With 1 bedroom, 1 bathroom apartments available from $385,000, 2 bedroom, 2 bathroom apartments from $520,000 and 3 bedroom, 2 bathroom apartments available from $890,000. Vantage is the second large scale development by Edge now under construction, with Botanical Subiaco due for completion in October this year. Visit the display suite at 90/5 Hawksburn Road, Rivervale each Saturday and Sunday between 12noon and 2pm to secure your piece of riverfront living or visit www.vantageperth.com.au.